11hours (!!!) job straight ahead in one sit to Ove, a Swedish client of mine. 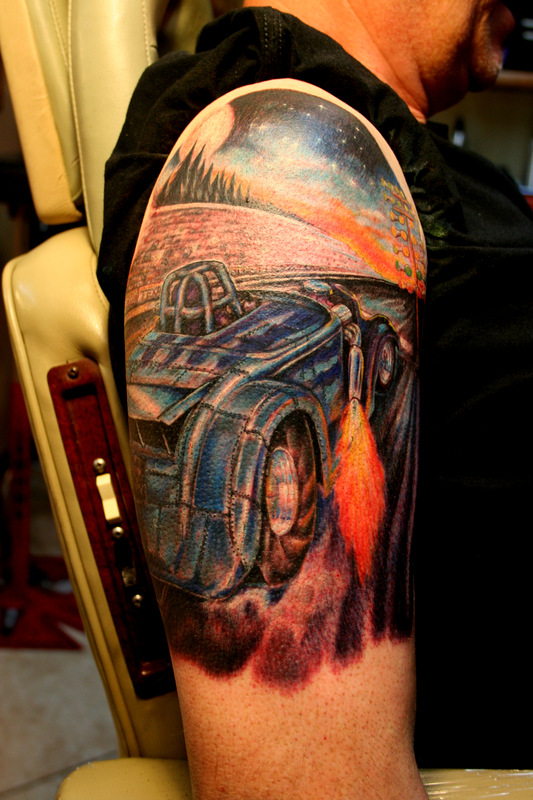 Hot Rod Tattoos are not dead! 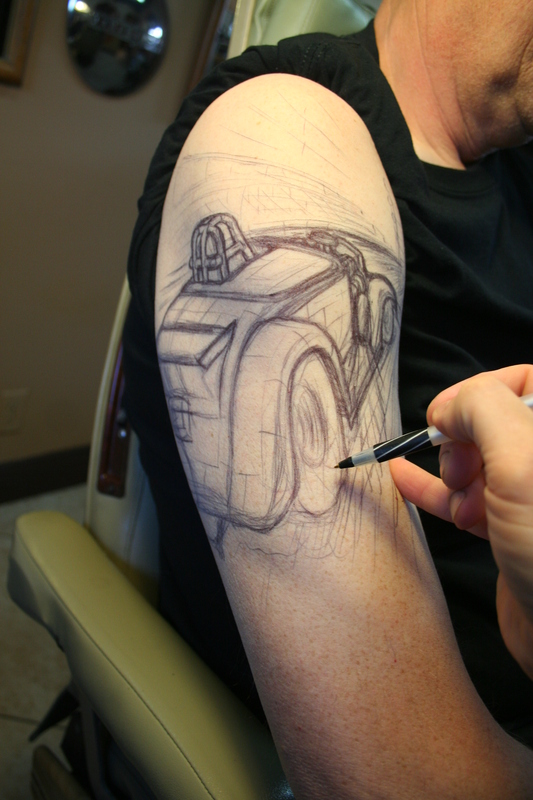 Ramon’s 1953 Packard tattoo begun with a FREEHAND sketch by Gabe. Want to see more cars? See my Hot Rod Tattoo pictures of my website’s Gallery.